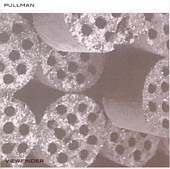 Like a warm April day, Pullman's Viewfinder is the perfect soundtrack for the moment after the rain has poured and left the landscape wet. When the clouds are pulling back, leaving room for the sun to shine down on your back, and you feel it is time to go outside and live in the day. A ripe collection of acoustic and electric guitars, brushing percussion, smooth bass, and an overly well put together sense about it. Pullman's instrumental jams are vivid and rich, able to extract your sad emotions and inject you with a soothing, tranquil feeling. It is not unlike the feeling you get when the water has left the land beautifully green and promising, with the flowers blossoming, and the day looking all the more appealing to you.